AMBROSE HUDGENS was born abt 1792, and died 3 Dec 1838 in Pulaski County, Arkansas. He married Cynthia. She died bef Feb 1842 in Little Rock, Pulaski, Arkansas. Ambrose Jr. Hudgens (Ambrose Hudgens1) was born 2 Mar 1807 in Arkansas, and died 20 Oct 1841 in Pulaski County, Arkansas. He married Eliza Patterson, daughter of Thomas Patterson. She was born 28 Jun 1804 in Kentucky, and died 22 Mar 1862 in Claiborne Parish, , Louisiana. Lucinda Hudgens was born 08-02-1825 in Arkansas, and died 10-16-1825 in Arkansas. William Harrison Hudgens was born 6 Sep 1826 in Arkansas, and died 26 Apr 1868 in Baton Rouge, East Baton Rouge, Louisiana. Lewis D. Hudgens was born 10-02-1829 in Arkansas, and died 08-31-1833 in Arkansas. Ambrose Hudgens was born 2 Feb 1832 in , Pulaski, Arkansas, and died Bef 1900. John M. Hudgens was born 18 May 1834 in , , Arkansas, and died 17 Mar 1891 in Claiborne Parish, Louisiana. Bazzel M Hudgens was born 04 Feb 1838 in Pulaski County, Arkansas, and died Bef 1900 in Tx. Eliza Hudgens was born 02-04-1838 in Arkansas, and died 09-04-1840 in Arkansas. 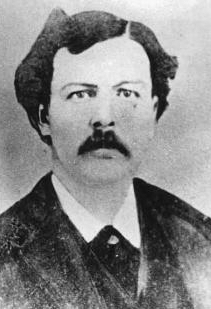 Albert Hudgens was born 11-04-1839 in Arkansas, and died 12-20-1842 in Arkansas. Bazzel B Hudgens (Ambrose Hudgens1) was born abt 1818 in Arkansas, and died 17 Jul 1864 in Pulaski County, Arkansas, USA. He married Rachel. She was born Abt 1820 in Illinois, United States, and died 2 Oct 1881 in Pulaski County, Arkansas, USA. Mary Hudgens was born Abt 1845 in Arkansas, USA. John Richard Hudgens was born Abt 1846 in Arkansas, USA. Margaret Hudgens was born Abt 1847 in Arkansas, USA, and died Bef 1860 in Pulaski County, Arkansas, USA. William Hudgens was born Abt 1849 in Arkansas, USA. Henry Hudgens was born Abt 1852 in Arkansas, USA. Alexander Hudgens was born Abt 1857 in Arkansas, USA. Patrick Hudgens was born Abt 1858 in Pulaski County, Arkansas, USA. William Harrison Hudgens (Ambrose Jr. Hudgens2, Ambrose Hudgens1) was born 6 Sep 1826 in Arkansas, USA, and died 26 Apr 1868 in Baton Rouge, East Baton Rouge, Louisiana, USA. He married Julia Ann Cargill 7 Mar 1850 in Athens, Claiborne Parish, Louisiana, USA, daughter of Osborne Osmand Cargill and Lucinda Leatherman. She was born 29 Apr 1833 in Claiborne Parish, , Louisiana, USA, and died 2 Jul 1916 in Santa Monica, Orange, California, USA. William Harrison Hudgens was born 23 Nov 1850 in Athens, Claiborne Parish, Louisiana, USA, and died 11 Oct 1894 in Hillsboro, Sierra, New Mexico, USA. Juliet Frances Hudgens was born 13 Oct 1852 in Athens, Claiborne Parish, Louisiana, USA, and died 21 Jun 1854 in , Claiborne, Louisiana, USA. John Newton Hudgens was born 12 Dec 1854 in Athens, Claiborne Parish, Louisiana, USA, and died 16 Dec 1923 in Searchlight, Clark, Nevada, USA. Margaret Eliza Hudgens was born 30 Oct 1857 in Athens, Claiborne Parish, Louisiana, USA, and died 12 Nov 1939 in Santa Monica, Los Angeles, California, USA. Mary Elizabeth Hudgens was born 30 Oct 1857 in , Claiborne, Louisiana, USA, and died 18 Aug 1865 in , Claiborne, Louisiana, USA. James Henry Hudgens was born 10 Apr 1860 in Athens, Claiborne Parish, Louisiana, USA, and died 6 May 1879 in White Oaks, Lincoln, New Mexico, USA. Laurie Loueza Hudgens was born 9 Dec 1862 in Athens, Claiborne Parish, Louisiana, USA, and died 7 Sep 1935 in Santa Monica, Los Angeles, California, USA. Martha Ann Hudgens was born 2 Jun 1866 in Athens, Claiborne Parish, Louisiana, USA, and died 10 May 1879 in , , Texas, USA. Ambrose Hudgens (Ambrose Jr. Hudgens2, Ambrose Hudgens1) was born 2 Feb 1832 in , Pulaski, Arkansas, USA, and died Bef 1900. He married Caroline Elizabeth Cargill, daughter of Derostus Beverly Cargill and Delilah Leatherman. She was born 1837 in Claiborne Parish, , Louisiana, USA, and died Bef 1880 in Texas, USA. Elizabeth “Lizzie” Hudgens was born Abt 1858 in Claiborne Parish, , Louisiana, USA. Tobe Albert Hudgens was born 21 Apr 1863 in Claiborne Parish, , Louisiana, USA, and died 29 Sep 1938 in Fort Worth, Tarrant, Texas, USA. James Cornelius Hudgens was born 21 Jul 1865 in Claiborne Parish, , Louisiana, USA, and died 9 Aug 1944 in McLennan County, Texas, USA. John Franklin Hudgens was born 28 Aug 1867 in Milam County, Texas, USA, and died 22 Dec 1938 in McLennan County, Texas, USA. Medora Hudgens was born Aug 1872 in Milam County, Texas, USA, and died 15 Oct 1942 in Dublin, Erath, Texas, USA. John M. Hudgens (Ambrose Jr. Hudgens2, Ambrose Hudgens1) was born 18 May 1834 in , , Arkansas, USA, and died 17 Mar 1891 in Claiborne Parish, Louisiana, USA. He married Mary Ann Adkins 3 Jan 1856 in Athens, Claiborne, La. She was born 6 Sep 1838 in , Henry, Georgia, USA, and died 26 Nov 1916 in Lower Athens Cemetery, Athens, Claiborne Parish, Louisiana. John W. Hudgens was born 26 Feb 1858 in Claiborne Parish, Louisiana, USA, and died 13 Dec 1889 in Claiborne Parish, , Louisiana, USA. Georgia E. Hudgens was born Jan 1866 in Claiborne Parish, Louisiana, USA, and died 29 Dec 1940 in Claiborne Parish, Louisiana, USA. Henry Walter Hudgens was born Sep 1868 in Claiborne Parish, Louisiana, USA, and died 1954 in Claiborne Parish, Louisiana, USA. Lawrence M. Hudgens was born Dec 1872 in Claiborne Parish, Louisiana, USA, and died Aug 1949 in Columbia Co., Arkansas. Thomas Edgar “Ed” Hudgens was born 11 Nov 1874 in Claiborne Parish, Louisiana, USA, and died 4 Jun 1928 in Claiborne Parish, Louisiana, USA. Luella Hudgens was born 28 Oct 1878 in Claiborne Parish, Louisiana, USA, and died 9 Oct 1900 in Claiborne Parish, Louisiana, USA. She married George Luther Yates 31 Aug 1898 in Claiborne Parish, Louisiana, USA. He was born Aug 1877 in Louisiana, USA. Emma Hudgens was born Oct 1883 in Claiborne Parish, Louisiana, USA. Bazzel M Hudgens (Ambrose Jr. Hudgens2, Ambrose Hudgens1) was born 04 Feb 1838 in Pulaski County, Arkansas, USA, and died Bef 1900 in Tx. He married Ediann Minerva Capps 8 Feb 1855 in Quachita Parish, Louisiana, United States, daughter of Capps and Lucinda Newton. She was born Abt 1837 in Georgia, USA, and died Bef 1869. He married Sarah A Cargill 25 Aug 1869 in Milam County, Texas, USA, daughter of Derostus Beverly Cargill and Delilah Leatherman. She was born Jun 1838 in Claiborne Parish, Louisiana, USA, and died 1904 in Erath County, Texas, USA. William Wallace Hudgens was born 4 Oct 1856 in Claiborne Parish, , Louisiana, USA, and died 18 Dec 1933 in Clairettte, Erath, Tx. Bazzel Jr Hudgens was born 6 Sep 1862 in Louisiana, USA, and died 5 Jan 1923 in Paducah, Cottle, Texas, United States. Franklin M Hudgens was born 8 Nov 1867 in Louisiana, USA, and died 11 Feb 1933 in Lamb County, Texas, USA. LaFayett F. Hudgens was born 28 Jul 1870 in Texas, USA, and died 6 Nov 1950 in Erath County, Texas, USA. Louise Hudgens was born Abt 1872 in Texas, USA, and died Sep 1890 in Texas, USA. Willie D Hudgens was born 29 Jan 1874 in Milam County, Texas, USA, and died 15 Sep 1950 in Haskell County, Texas, USA. Eula Hudgens was born Jan 1876 in Milam County, Texas, USA, and died 2 Dec 1919 in Texas, USA. Napoleon Pony Hudgens was born 23 Dec 1876 in Thorndale,Milam County, Texas, USA, and died 13 Nov 1937 in Goree, Knox ,Tx, USA. Emma Hudgens was born 17 Feb 1880 in Milam County, Texas, USA, and died 20 Apr 1944 in Erath County, Texas, USA. Ida Dean Hudgens was born 6 Sep 1882 in Texas, and died 15 Mar 1973 in Ardmore, Carter, Oklahoma, USA. William Harrison Hudgens (William Harrison Hudgens3, Ambrose Jr. Hudgens2, Ambrose Hudgens1) was born 23 Nov 1850 in Athens, Claiborne Parish, Louisiana, USA, and died 11 Oct 1894 in Hillsboro, Sierra, New Mexico, USA. He married Mary Rebecca Bruton 08-01-1871 in , , Texas, USA, daughter of William Wesley Bruton and Cyntha A.. She was born Abt 1856 in , , Texas, USA. Willie Edna Hudgens was born May 1872 in Eagle Pass, Maverick, Texas, USA. She married Otto Gentz. She married John Henry Gannon 9 Jul 1899 in Globe, Pinal County, Arizona, USA. He was born 16 Oct 1864 in Cornwallis, Nova Scotia, Canada, and died 8 Mar 1934 in Tuscon, Pima County, Arizona. John Hudgens was born 1876 in , , Texas, USA. Louette Margaret Hudgens was born 1 Jan 1881 in New Mexico, USA, and died 29 sep 1962 in Azusa, Los Angeles, Ca, Usa. William Arthur Hudgens was born Nov 1882 in New Mexico, USA, and died Bef 1910 in New Mexico, USA. Lee howard Hudgens was born 21 Aug 1884 in New Mexico, USA, and died 16 Apr 1969 in Los Angeles, Los Angeles, California, USA. He married Bernadette M “Bernie”. She was born 4 Oct 1883 in Kentucky, USA, and died 7 Jan 1968 in Los Angeles County, California, USA. He married Johnie Francis Payne, daughter of Rube Payne and Betty Smart. She was born abt 1886 in Texas, USA, and died 19 Jul 1928 in Alto, Lincoln, New Mexico, USA. Ethel F. Hudgens was born 23 Oct 1892 in New Mexico, USA, and died 11Jan 1947 in Los Angeles, Los Angeles, California, USA. She married jones. He was born in Bef 1910. She married rogers. John Newton Hudgens (William Harrison Hudgens3, Ambrose Jr. Hudgens2, Ambrose Hudgens1) was born 12 Dec 1854 in Athens, Claiborne Parish, Louisiana, USA, and died 16 Dec 1923 in Searchlight, Clark, Nevada, USA. He married Margaret Lucinda Taylor 5 Nov 1876 in Eagle Pass, Maverick, Texas, USA, daughter of William Taylor and Delilah Elizabeth Mayes. She was born 22 Jan 1861 in Bandera, Bandera, Texas, USA, and died 18 Mar 1940 in Searchlight, Clark, Nevada, USA. Nora Hudgens was born 23 Sep 1877 in Bandera, Bandera, Texas, USA, and died 20 Jul 1946 in Costa Mesa, Orange, California, USA. John William Hudgens was born 16 Jun 1880 in White Oaks, Lincoln, New Mexico, USA, and died 14 Jun 1946 in Wenden, Yuma, Arizona, USA. Mary Luellen Hudgens was born 11 Oct 1882 in White Oaks, Lincoln, New Mexico, USA, and died 9 Aug 1968 in Los Angeles, Los Angeles, California, USA. Constant James Hudgens was born 25 Jan 1885 in White Oaks, Lincoln, New Mexico, USA, and died Nov 1956 in Henderson, Clark, Nevada, USA. Charles Andrew Hudgens was born 8 Aug 1887 in Logandale, Lincoln, Nevada, USA, and died 9 Jan 1938 in Searchlight, Clark, Nevada, USA. He married may Gough 04-30-1921 in Clark County, NV. Rex Leroy Hudgens was born 29 Jul 1895 in Jerome, Yavapai, Arizona, USA, and died 14 Nov 1974 in Reno, Washoe, Nevada, USA. Muriel Erma Hudgens was born 17 Apr 1904 in Moapa, Lincoln, Nevada, USA, and died 15 Oct 1992 in Tonopah, Nye, Nevada, United States of America. Margaret Eliza Hudgens (William Harrison Hudgens3, Ambrose Jr. Hudgens2, Ambrose Hudgens1) was born 30 Oct 1857 in Athens, Claiborne Parish, Louisiana, USA, and died 12 Nov 1939 in Santa Monica, Los Angeles, California, USA. She married Wesley Calvin Bruton 11 Oct 1876 in Del Rio, Val Verde, Texas, USA, son of William Wesley Bruton and Cyntha A.. He was born 3 April 1853 in Goliad County, Texas, USA, and died 14 Sep 1897 in Socorro, Socorro, New Mexico. She married William H. Sanders. He was born Abt 1855 in Kentucky, USA. Effie Bruton was born 14 Jun 1878 in Texas, USA, and died 05 Aug 1952 in Los Angeles, Los Angeles, California. Wesley Finis Bruton was born 07 Oct 1879, and died Bef. 1910. Esmeralda Bruton was born 28 Dec 1880 in Del Rio, Val Verde County, Texas, USA, and died 30 Oct 1960 in Mesa, Maricopa, Az. Musette “Musie” Bruton was born 09 May 1882 in Del Rio, Val Verde County, Texas, USA, and died 19 Nov 1933 in Douglas, Cochise, AZ. Margaret Kyle Bruton was born 10 Jun 1892 in New Mexico, USA, and died 29 Jul 1968 in Los Angeles, Los Angeles, California. Laurie Loueza Hudgens (William Harrison Hudgens3, Ambrose Jr. Hudgens2, Ambrose Hudgens1) was born 9 Dec 1862 in Athens, Claiborne Parish, Louisiana, USA, and died 7 Sep 1935 in Santa Monica, Los Angeles, California, USA. She married Jason Bryant Bell 1880 in White Oaks, Lincoln, New Mexico, USA. He was born 1 Sep 1854 in Rusk, Cherokee, Texas, USA, and died 9 Nov 1928 in Tucson, Pima, Arizona, USA. She married English. Pearl Bell was born Nov 1882 in White Oaks, Lincoln, New Mexico, USA. Wesley Jessie Bell was born 23 Jun 1885 in New Mexico, USA. Elizabeth “Lizzie” Hudgens (Ambrose Hudgens3, Ambrose Jr. Hudgens2, Ambrose Hudgens1) was born Abt 1858 in Claiborne Parish, , Louisiana, USA. She married Howell Newsom 1878. He was born 1835 in , , Mississippi, USA. She married James Monroe Burchem. He was born in Mississippi, and died bef 1880. Ada Burchem was born 27 Nov 1875 in , , Texas, USA, and died 6 Jan 1921 in Leroy, McLennan, Texas, USA. James Monroe Burchem was born 30 Jan 1876 in Texas, USA, and died 04 Nov 1958 in Fort Worth, Tarrant, Texas, USA. Tobe Albert Hudgens (Ambrose Hudgens3, Ambrose Jr. Hudgens2, Ambrose Hudgens1) was born 21 Apr 1863 in Claiborne Parish, , Louisiana, USA, and died 29 Sep 1938 in Fort Worth, Tarrant, Texas, USA. He married Sarah Annie Hickman. She was born 08 Mar 1865 in Saline County, Arkansas, USA, and died 03 Oct 1953 in Tarrant County, Texas, USA. Maude Luvenia Hudgens was born 06 Jun 1884 in Moffatt, Bell, Tx, and died 31 Jan 1978 in Fort Worth, Tarrant, Texas, USA. Elizabeth Lucinda Hudgens was born Abt 1886 in Texas, USA. Beulah Lee Hudgens was born 18 Feb 1888 in Falls County, Texas, USA, and died 20 Jan 1963 in Tarrant County, Texas, USA. Albert Ernest Hudgens was born 1898 in Texas, USA, and died 1908 in Fort Worth, Tarrant, Texas, USA. James Cornelius Hudgens (Ambrose Hudgens3, Ambrose Jr. Hudgens2, Ambrose Hudgens1) was born 21 Jul 1865 in Claiborne Parish, , Louisiana, USA, and died 9 Aug 1944 in McLennan County, Texas, USA. He married Mary Monte Graves 1892, daughter of John Westley Graves and Sarah Katherine Saffell. She was born Jul 1872 in , Monroe, Tennessee, USA, and died 3 Jun 1913 in , McLennan, Texas, USA. Alonzo Leonard Hudgens was born 5 May 1893 in Texas, USA, and died 13 Jun 1957 in Waco, McLennan, Texas, USA. He married Madie McAninch 1918. She was born 4 Nov 1889 in , , Texas, USA, and died 22 Apr 1980 in Waco, McLennan, Texas, USA. Edward m. Hudgens was born Oct 1895 in Texas, USA, and died 18 Apr 1912 in , , Texas, USA. Minnie E. Hudgens was born Nov 1897 in Texas, USA. Myrtle Sarah Hudgens was born 13 Sep 1899 in McLennan County, Texas, USA, and died 03 May 1957 in Waco, McLennan, Texas, USA. Oscar C. Hudgens was born 13 Jan 1902 in Downsville, McLennan, Texas, USA, and died 22 Sep 1964 in Waco, McLennan, Texas, USA. Charlie Thomas Hudgens was born 13 Jun 1904 in Texas, USA, and died 10 Jul 1957 in Hamilton County, Texas, USA. Ina Mae Hudgens was born 18 Jan 1907 in Texas, USA, and died 22 Aug 1980 in Hamilton County, Texas, USA. Eula Ree Hudgens was born 21 Mar 1909 in Texas, USA, and died 30 Nov 1985 in Waco, McLennan, Texas, USA. Hudgens was born 1912 in , , Texas, USA, and died 9 Jun 1912 in , , Texas, USA. Hudgens was born 3 Jun 1913 in , McLennan, Texas, USA, and died 4 Jun 1913 in , McLennan, Texas, USA. John Franklin Hudgens (Ambrose Hudgens3, Ambrose Jr. Hudgens2, Ambrose Hudgens1) was born 28 Aug 1867 in Milam County, Texas, USA, and died 22 Dec 1938 in McLennan County, Texas, USA. He married Frances Caroline Perry. She was born 20 Nov 1874 in Texas, USA, and died 8 Apr 1935 in Waco, McLennan, Texas, USA. Mamie Lou Hudgens was born 10 Feb 1896 in Texas, USA, and died 1 Aug 1975 in Tarrant County, Texas, USA. She married Robinson. Callie Hudgens was born 7 Jul 1898 in Texas, USA, and died 7 Jun 1952 in Waco, McLennan, Texas, USA. She married Henry Alexander Glenn. He was born 29 May 1898 in Texas, USA, and died 7 Jun 1952 in Waco, McLennan, Texas, USA. Edna Hudgens was born Abt 1902 in Texas, USA. She married Calvin Richard Bradbury. Mary Alice Hudgens was born 11 Aug 1903 in Texas, USA, and died 27 Apr 1957. James Powell Hudgens was born Abt 1907 in Texas, USA. Nora Hudgens was born Abt 1908 in Texas, USA. Albert Ray Hudgens was born 27 Oct 1909 in Texas, USA, and died 28 Oct 1963 in McLennan County, Texas, USA. He married Gracie Mae Riley. She was born 25 Nov 1917 in Texas, USA, and died 24 Apr 1969 in McLennan County, Texas, USA. He married Ola Smith. She was born 25 Feb 1913 in Texas, USA, and died 26 Feb 1931 in McLennan County, Texas, USA. Clyde Frances Hudgens was born 18 Feb 1912 in Texas, USA, and died 22 Feb 1995 in Waco, McLennan, Texas, USA. She married Claude Leonard Howze. He was born 12 Aug 1904 in Florida, and died Feb 1975 in Waco, McLennan, Texas, USA. Medora Hudgens (Ambrose Hudgens3, Ambrose Jr. Hudgens2, Ambrose Hudgens1) was born Aug 1872 in Milam County, Texas, USA, and died 15 Oct 1942 in Dublin, Erath, Texas, USA. She married James Washington Hickman, son of Jason W Hickman and Lorena Hooper. He was born 22 Feb 1859 in Arkansas, USA, and died 28 Mar 1936 in Dublin, Erath, Texas, USA. Maggie Estelle Hickman was born 26 Feb 1889 in Texas, USA, and died 16 May 1966 in Tarrant, Texas. Lillian T. Hickman was born 22 Sep 1891 in Texas, USA. Robert Monroe Hickman was born 25 Aug 1894 in Waco, McLennan, Texas, USA, and died 11 Mar 1976 in San Angelo, Tom Green, Tx. Jesse Wilson Hickman was born 21 Sep 1896 in Erath County, Texas, USA, and died Aug 1984 in Dublin, Erath, Texas, USA. John W. Hudgens (John M. Hudgens3, Ambrose Jr. Hudgens2, Ambrose Hudgens1) was born 26 Feb 1858 in Claiborne Parish, Louisiana, USA, and died 13 Dec 1889 in Claiborne Parish, , Louisiana, USA. He married Genie Tinsley 18 Dec 1883 in Claiborne Parish, , Louisiana, USA. She was born Mar 1866 in Louisiana, and died 1955. Ruey Hudgens was born 15 Sep 1884 in Claiborne Parish, La, and died 25 Oct 1974 in Homer, Claiborne, Louisiana, United States of America. Bertie Hudgens was born Oct 1886 in Louisiana. Guy Elon Hudgens was born 21 Dec 1888 in Claiborne Parish, Louisiana, and died Feb 1969 in Little Rock, Pulaski, Arkansas. Georgia E. Hudgens (John M. Hudgens3, Ambrose Jr. Hudgens2, Ambrose Hudgens1) was born Jan 1866 in Claiborne Parish, Louisiana, USA, and died 29 Dec 1940 in Claiborne Parish, Louisiana, USA. She married John Madison DeLoach 24 Apr 1892, son of William Earl Deloach and Sarah Ann Smart. He was born Jan 1860 in Louisiana, USA, and died 1940 in Athens, Claiborne, Louisiana, USA. Odus Deron Deloach was born 22 Feb 1893 in Louisiana, and died 8 Jun 1964. Vesta Aubyn DeLoach was born 26 Jul 1897 in Louisiana, and died 19 Aug 1900 in Claiborne Parish, , Louisiana, USA. Lorelle Bryan “Loy” DeLoach was born 25 Mar 1904 in Louisiana, and died 28 Aug 1958. Henry Walter Hudgens (John M. Hudgens3, Ambrose Jr. Hudgens2, Ambrose Hudgens1) was born Sep 1868 in Claiborne Parish, Louisiana, USA, and died 1954 in Claiborne Parish, Louisiana, USA. He married Elizabeth Epsy “Lizzy” Cobb 11 May 1897 in Claiborne Parish, Louisiana, USA. She was born 11 May 1870 in , , Louisiana, USA, and died 10 Mar 1957 in Claiborne Parish, Louisiana, USA. Doye Valpin Hudgens was born 4 Nov 1901 in Claiborne Parish, , Louisiana, USA, and died Apr 1979 in Homer, Claiborne, Louisiana, USA. Mavis Adeal Hudgens was born 8 Mar 1904 in Claiborne Parish, , Louisiana, USA. She married Claud Hotchkiss Hill 20 Sep 1932. He was born 22 Feb 1903, and died 7 Aug 1955. Linda Laurelle Hudgens was born 4 Apr 1907 in Louisiana, and died 27 Dec 1944 in Louisiana. Mary Louise Hudgens was born 31 Oct 1910 in Claiborne Parish, , Louisiana, USA, and died 11 Aug 1985. She married Roderick Earl Dillon 18 Mar 1932. He was born 15 Nov 1907 in Athens, Claiborne, Louisiana, USA. Cedric Elston Hudgens was born 3 Mar 1912 in Louisiana, and died 12 Jun 1944. Lawrence M. Hudgens (John M. Hudgens3, Ambrose Jr. Hudgens2, Ambrose Hudgens1) was born Dec 1872 in Claiborne Parish, Louisiana, USA, and died Aug 1949 in Columbia Co., Arkansas. He married Gladys Pauline abt 1926. She was born 1 Apr 1898, and died 15 Nov 1968 in Waldo, Columbia, Arkansas, United States of America. He married Lena Perritt 7 Nov 1897 in Athens, Claiborne Parish, Louisiana, USA. She was born 21 Jan 1876, and died 4 Oct 1899. He married Georgia Lula Whaley abt 1902. She was born 25 Jun 1875 in , , Arkansas, USA, and died 19 Apr 1925 in Old Town Cemetery, Haynesville, Claiborne, Louisiana. Billy J Hudgens was born Jul 1927, and died 12 Feb 2008 in Waldo, Columbia, Arkansas. Bobby R Hudgens was born 1930, and died 1947. Infant Hudgens was born 1930, and died 1930. Lula M. Brazzle was born abt 1895 in Louisiana, USA. Thomas Edgar “Ed” Hudgens (John M. Hudgens3, Ambrose Jr. Hudgens2, Ambrose Hudgens1) was born 11 Nov 1874 in Claiborne Parish, Louisiana, USA, and died 4 Jun 1928 in Claiborne Parish, Louisiana, USA. He married Ruth Ann Smithee 14 Aug 1912 in Blocker, Caddo, Louisiana, USA. She was born 6 Oct 1882 in , , Arkansas, USA, and died Aug 1983 in Columbia, Caldwell, Louisiana, USA. He married Ruth Pearl Evans 6 Jul 1902 in Claiborne Parish, Louisiana, USA. She was born abt 1889 in Arkansas, and died bef 1910 in Claiborne Parish, Louisiana, USA. Herman Edward Hudgens was born 28 Jun 1914 in , , Texas, USA, and died 30 Dec 1966 in Welcome Home Cemetery, Grayson, Caldwell, Louisiana. Mary Alice Hudgens was born 21 Aug 1917 in , , Louisiana, USA. She married John Lloyd Pedigo 4 May 1933 in Acadia Parish, , Louisiana, USA. He was born 6 Jul 1911 in Crowley, Acadia, Louisiana, USA, and died Aug 1976 in Opelousas, St Landry, Louisiana, USA. Thomas Yandell Hudgens was born 13 Oct 1925, and died 22 Jan 2000 in Columbia, Caldwell, Louisiana, USA. Gerald E. Hudgens was born abt 1904 in Claiborne Parish, Louisiana, USA. Fae Hudgens was born abt 1905 in Claiborne Parish, Louisiana, USA. William Wallace Hudgens (Bazzel M Hudgens3, Ambrose Jr. Hudgens2, Ambrose Hudgens1) was born 4 Oct 1856 in Claiborne Parish, , Louisiana, USA, and died 18 Dec 1933 in Clairettte, Erath, Tx. He married Martha Frances Pruett 26 May 1875 in Milam County, Texas, USA, daughter of Henry Hillman Pruett and Sarah A Cargill. She was born 24 Sep 1858 in Milam County, Texas, United States, and died 29 May 1939 in Clairettte, Erath, Texas, USA. Maggie Bell Hudgens was born 25 Jun 1878 in Texas, USA, and died 9 Apr 1919 in Near Connelly School, , Oklahoma, USA. Minnie Hudgens was born 23 Jan 1881 in Texas, and died 15 Jun 1974 in Cleburne, Johnson, Texas, USA. Thomas Myrt Hudgens was born 20 Jul 1883 in Texas, and died 4 Sep 1944 in Cottle County, Tx, USA. William Hilman Hudgens was born 12 Jan 1890 in Texas, and died 24 Apr 1974 in , Erath, Texas, USA. Bazzel Jr Hudgens (Bazzel M Hudgens3, Ambrose Jr. Hudgens2, Ambrose Hudgens1) was born 6 Sep 1862 in Louisiana, USA, and died 5 Jan 1923 in Paducah, Cottle, Texas, United States. He married Margaret Elizabeth Lizzie Langford 17 Nov 1882 in Milam County, Texas, USA, daughter of John Langford and Lucinda. She was born 26 Nov 1868 in Alabama, USA, and died 15 Apr 1954 in Cleburne, Johnson, TX, USA. Henry Harrison Hudgens was born 4 Jul 1889 in Milam County, Texas, USA, and died 21 Dec 1962 in Clairette, Erath, Texas, USA. Franklin M Hudgens (Bazzel M Hudgens3, Ambrose Jr. Hudgens2, Ambrose Hudgens1) was born 8 Nov 1867 in Louisiana, USA, and died 11 Feb 1933 in Lamb County, Texas, USA. He married Lula E Estill, daughter of Edward Estill and Elizabeth Knight. She was born 14 Jan 1876 in Milam County, Texas, USA, and died 1 Feb 1933 in Lamb County, Texas, USA. Lela E Hudgens was born 23 Jan 1892 in Texas, USA, and died 7 May 1977 in Long Beach, Los Angeles, California, United States. LaFayett F. Hudgens (Bazzel M Hudgens3, Ambrose Jr. Hudgens2, Ambrose Hudgens1) was born 28 Jul 1870 in Texas, USA, and died 6 Nov 1950 in Erath County, Texas, USA. He married Jemima Hoover 1892, daughter of James Hoover and Nancy E.. She was born 30 Nov 1870 in Arkansas, USA, and died 11 Nov 1933 in Brownfield, Terry, Tx. Claude Lee Hudgens was born 4 Oct 1893 in Texas, USA, and died 3 Jan 1972 in Fort Worth, Tarrant Co., TX. James Clarence Hudgens was born 4 Apr 1895 in Texas, USA, and died 30 Sep 1976. Iva D. Hudgens was born Mar 1896 in Texas, USA. Mildred O. Hudgens was born 27 Aug 1909 in Erath County, Texas, USA, and died 13 Sep 1994 in Channing, Hartley, Texas, United States of America. Louise Hudgens (Bazzel M Hudgens3, Ambrose Jr. Hudgens2, Ambrose Hudgens1) was born Abt 1872 in Texas, USA, and died Sep 1890 in Texas, USA. She married Cicero P. Walton. He was born Abt 1875 in Texas, USA. Dennis Lafayette Walton was born 01 Apr 1890 in Stephenville, Erath Co., TX, and died 30 Dec 1966 in Fort Worth, Tarrant Co., TX. Willie D Hudgens (Bazzel M Hudgens3, Ambrose Jr. Hudgens2, Ambrose Hudgens1) was born 29 Jan 1874 in Milam County, Texas, USA, and died 15 Sep 1950 in Haskell County, Texas, USA. She married Fonny Lucas Langford 11 Aug 1890 in Milam County, Texas, USA, son of John Langford and Lucinda. He was born Sep 1866 in Alabama or Mississippi, and died Bef 1950 in , , Texas, USA. Roy Everett Langford was born 9 Aug 1891 in Rosebud, King, Tx, and died 22 Sep 1936 in Haskell County, Texas, USA. Edna Mae Langford was born 24 Aug 1895 in Milam County, Texas, USA, and died 2 Oct 1913 in Stephenville, Erath Co., TX. Ethel Dean Langford was born 6 Mar 1899 in Texas, USA, and died Jun 1972 in Haskell County, Texas, USA. Gladys E Langford was born 21 Jul 1901 in Texas, USA, and died Apr 1981 in Hico, Hamilton, Texas, United States of America. Clinton V Langford was born 1904 in Texas, United States. Charlie D Langford was born 30 Mar 1909 in Stephenville, Erath, Texas, United States, and died 23 Mar 1969 in Riverside, Riverside, California, United States. Eula Hudgens (Bazzel M Hudgens3, Ambrose Jr. Hudgens2, Ambrose Hudgens1) was born Jan 1876 in Milam County, Texas, USA, and died 2 Dec 1919 in Texas, USA. She married John B. Orman. He was born Aug 1869 in Texas, USA, and died 20 Mar 1927 in Hamilton County, Texas, USA. Otis Adolphus Orman was born 16 Feb1896 in Hamilton County, Texas, USA, and died 30 Apr 1935 in Levelland, Hockley, Tx. Napoleon Pony Hudgens (Bazzel M Hudgens3, Ambrose Jr. Hudgens2, Ambrose Hudgens1) was born 23 Dec 1876 in Thorndale,Milam County, Texas, USA, and died 13 Nov 1937 in Goree, Knox ,Tx, USA. He married Mary Lee Tucker 30 Aug 1896 in Hico, Hamilton, Texas, United States of America, daughter of Robert Augustus Gus Tucker and Susan Adeline Addie Baker. She was born 7 Feb 1881 in Brister, Columbia, AR, USA, and died 15 Sep 1970 in Sundown, Hockley, Texas, United States of America. Effie Mae Hudgens was born 16 Oct 1898 in Erath County, Texas, USA, and died 24 Oct 1898 in Erath County, Texas, USA. Robert Wilburn Hudgens was born 15 Sep 1899 in Erath County, Texas, USA, and died 31 Oct 1982 in Sundown, Hockley, Texas, United States of America. Myrtie Mae Hudgens was born 6 Mar 1902 in Stephenville, Erath, Texas, USA, and died 14 Jan 1989 in Sundown, Hockley, Texas, United States of America. Bertie Adeline Hudgens was born 14 Apr 1905 in Stephenville, Erath, Texas, United States, and died 26 Nov 1982 in Andrews, Andrews, Texas, United States. William Lela Hudgens was born 14 Oct 1908 in Texas, and died 24 May 1926. Minnie Velma Hudgens was born 1 Dec 1910 in Paducah, Cottle, Texas, USA, and died 28 Aug 1982 in Pittsburg, Contra Costa, Ca. Ira Winfred Hudgens was born 11 Nov 1912 in Cottle County, Texas, USA, and died 26 Nov 1981 in Andrews County, Texas, USA. Wayne Hudgens was born 11 Nov 1912, and died 12 Nov 1918. Bill Hudgens was born 25 Dec 1913 in King County, Texas, USA, and died 15 Nov 1918. Sister Hudgens was born 25 Dec 1913 in King County, Texas, USA, and died Bef 1920. Truman Napoleon Hudgens was born 18 Mar 1916 in King County, Texas, USA, and died 15 Jan 1973 in Andrews County, Texas, USA. C W Hudgens was born 22 Aug 1919 in Milo, Carter , Ok, USA, and died 21 Nov 2007 in Lubbock, Lubbock, Texas, USA. Melvin Lafette “Buddy” Hudgens was born 12 Jun 1922 in Milo, Carter , Tx, USA, and died 25 May 1956 in Andrews County, Texas, USA. He married Living. He married Nora Floy Henkle. She was born 17 Aug 1925, and died 23 Jul 1949 in Andrews County, Texas, USA. Twin Hudgens was born 15 Aug 1924, and died 15 Aug 1924. Presley Lee Hudgens was born 25 Dec 1925 in Brownfield, Terry, Texas, and died 26 Dec 2004 in Andrews, Andrews, Texas, United States. Myrtle Hudgens died Bef 1918. Carmen Hudgens died Bef 1918. Emma Hudgens (Bazzel M Hudgens3, Ambrose Jr. Hudgens2, Ambrose Hudgens1) was born 17 Feb 1880 in Milam County, Texas, USA, and died 20 Apr 1944 in Erath County, Texas, USA. She married Clarence William Evans abt 1898 in Texas, USA, son of Thomas William Evans and Charlotte Francis Carroll. He was born 27 Dec 1877 in Texas, USA, and died 9 Feb 1960 in Erath County, Texas, USA. Archie Clarence Evans was born 21 Sep 1900 in Texas, USA, and died 13 Jun 1971 in Texas, USA. Dessie D Evans was born abt 1908 in Texas. Enid William Evans was born 22 May 1919 in Texas, and died 13 Nov 1985 in Van Horn, Culberson, Texas, United States of America. Ida Dean Hudgens (Bazzel M Hudgens3, Ambrose Jr. Hudgens2, Ambrose Hudgens1) was born 6 Sep 1882 in Texas, and died 15 Mar 1973 in Ardmore, Carter, Oklahoma, USA. She married George Franklin “Frank” Beaty 3 Nov 1900 in , Erath, Texas, USA, son of Joseph Wood Beaty and Mary Jane Crabtree. He was born 7 Mar 1881 in , Coryell, Texas, USA, and died 1 Sep 1940 in Ardmore, Carter, Oklahoma, USA. Otis Leon Beaty was born 25 Oct 1901 in Texas, and died 1 May 1933 in Ardmore, Carter, Oklahoma, USA. Ona B Beaty was born 15 Mar 1903 in Stephenville, Erath, Texas, United States of America, and died 30 Sep 1969 in Wharton County, Texas, USA. Martha B Beaty was born abt 1905 in Texas. Mattie M Beaty was born abt 1907 in Alabama. Homer C Beaty was born 23 Dec 1909 in Texas, and died 10 Aug 1955 in Sacramento, California. Idell Beaty was born abt 1912. Marvin Charley Beaty was born 15 Nov 1916 in Oklahoma, and died 9 Jan 1994 in Fillmore, Ventura, California, United States of America. Betty Jo Beaty was born 15 Aug 1924 in Milo, Carter, Oklahoma, USA, and died 19 Oct 1992 in Burleson, Johnson, Texas, United States of America. Louette Margaret Hudgens (William Harrison Hudgens4, William Harrison Hudgens3, Ambrose Jr. Hudgens2, Ambrose Hudgens1) was born 1 Jan 1881 in New Mexico, USA, and died 29 sep 1962 in Azusa, Los Angeles, Ca, Usa. She married William Andrew Abernathy. He was born 2 Nov 1879 in Red Bank, Tehama, California, and died 11 Jun 1956 in , Los Angeles, California. Adair Abernathy was born 1 Jul 1911 in California, USA, and died 09 Oct 1993 in Upland, San Bernadino, Ca, Usa. She married James P frazer. William Arthur Hudgens (William Harrison Hudgens4, William Harrison Hudgens3, Ambrose Jr. Hudgens2, Ambrose Hudgens1) was born Nov 1882 in New Mexico, USA, and died Bef 1910 in New Mexico, USA. He married Mollie Payne. She was born Jun 1880 in Texas, USA. William L. Hudgens was born 02 Apr 1905 in Deming, New Mexico, USA, and died 11 Jul 1930 in Yuma, Yuma, Arizona, USA. John W. Hudgens was born 02 May 1908 in New Mexico, USA, and died 11 Jul 1930 in Yuma, Yuma, Arizona, USA. Nora Hudgens (John Newton Hudgens4, William Harrison Hudgens3, Ambrose Jr. Hudgens2, Ambrose Hudgens1) was born 23 Sep 1877 in Bandera, Bandera, Texas, USA, and died 20 Jul 1946 in Costa Mesa, Orange, California, USA. She married Edwin H Channell Abt 1894 in Phoenix, Maricopa, Arizona, USA. He was born abt 1859 in California. She married George Conlin abt 1918 in Arizona. Nora Channell was born 11 Jul 1895 in Arizona, and died 3 Nov 1976 in Lomita, Los Angeles, California, United States of America. Monte Channell was born 3 Jun 1898 in Arizona, and died 12 Jul 1962 in Los Angeles, California. John William Hudgens (John Newton Hudgens4, William Harrison Hudgens3, Ambrose Jr. Hudgens2, Ambrose Hudgens1) was born 16 Jun 1880 in White Oaks, Lincoln, New Mexico, USA, and died 14 Jun 1946 in Wenden, Yuma, Arizona, USA. He married Lilyn Lenegan Stringer 10 Sep 1907 in Clear Creek, Carbon, Utah. She was born 10 Sep 1884 in Manchester, Cheshire, England, and died 17 Jun 1974 in Wendell, Gooding, Idaho, United States of America. Robert James Hudgens was born 14 Dec 1918 in Los Angeles, Los Angeles, California, and died abt 1919 in Los Angeles, Los Angeles, California. Mary Patricia Hudgens was born 17 Mar 1920 in Arizona, and died 8 Sep 1940 in Orange, California. Mary Luellen Hudgens (John Newton Hudgens4, William Harrison Hudgens3, Ambrose Jr. Hudgens2, Ambrose Hudgens1) was born 11 Oct 1882 in White Oaks, Lincoln, New Mexico, USA, and died 9 Aug 1968 in Los Angeles, Los Angeles, California, USA. She married Roy Cook 31 Mar 1906 in California, United States. He was born 5 Apr 1881 in Illinois, USA, and died 9 Nov 1948 in Lomita, Los Angeles, California, United States. She married Charles G Cook 3 Jun 1901 in Cherry Creek, White Pine, Nevada, United States. He was born 1879 in Arizona, United States, and died 29 Oct 1902 in Cherry Creek, White Pine, Nevada, United States. marion marguerite cook was born 24 Dec 1906 in Nevada, USA, and died 30 Jun 1986 in Long Beach, Los Angeles, California, United States. She married Myron Herbert Magie. He was born 07 Jun 1902 in California, USA, and died 05 Feb 1981 in Los Angeles, California. William Stewart cook was born 1 Nov 1915 in Redondo Beach, Los Angeles, California, United States, and died 20 Jan 1950 in San Bernardino County, California, USA. Baby Cook was born 1902 in Cherry Creek, White Pine, Nevada, United States, and died 1902 in Cherry Creek, White Pine, Nevada, United States. Constant James Hudgens (John Newton Hudgens4, William Harrison Hudgens3, Ambrose Jr. Hudgens2, Ambrose Hudgens1) was born 25 Jan 1885 in White Oaks, Lincoln, New Mexico, USA, and died Nov 1956 in Henderson, Clark, Nevada, USA. He married Margaret Daisy Agnes Dolan 1906 in Cherry Creek, White Pine, Nevada, USA. She was born 12 Jul 1886 in Cherry Creek, White Pines County, Nv, and died 1963 in , , Nevada, USA. Nola Katheryn Hudgens was born 01 Sep 1907 in Nevada, USA. Margaret Lillian Elizabeth Hudgens was born 09 Dec 1909 in Cherry Creek, White Pine, Nevada, USA, and died 10 Jun 1947 in Searchlight, Clark, Nevada, USA. William Constant Joseph Hudgens was born 14 Jan 1911 in Nevada, USA, and died 03 Mar 1942 in Nevada, USA. He married Fredrica “Rica” Yeager 11 Apr 1932 in Clark County, NV. She was born 07 Sep 1907, and died 08 May 1995 in Nevada, USA. Terrance D. “Terry” Hudgens was born 07 Jul 1915 in Cherry Creek, White Pine, Nevada, USA, and died 31 Dec 2007 in Las Vegas, Clark, Nevada. Charles Leroy Hudgens was born 03 Aug 1919 in Feldman, Pinal, Arizona, USA, and died 6 Apr 1974 in Desert Hot Springs, Riverside, California, United States of America. Rex Leroy Hudgens (John Newton Hudgens4, William Harrison Hudgens3, Ambrose Jr. Hudgens2, Ambrose Hudgens1) was born 29 Jul 1895 in Jerome, Yavapai, Arizona, USA, and died 14 Nov 1974 in Reno, Washoe, Nevada, USA. He married Mary Alpha Mouser 1 Dec 1919 in Las Vegas, Clark, Nevada, USA. She was born 4 Oct 1903 in Duncan, Greenlee, Arizona, USA, and died Dec 1998. He married Beatrice Plummer 11 Jun 1927 in Reno, Washoe, Nevada, USA. She was born 11 Sep 1906, and died Jan 1996 in Reno, Washoe, Nevada, United States of America. Dorothy Jean Hudgens was born 21 Jun 1928 in Reno, Washoe, Nevada, USA, and died 20 Nov 2005 in Reno, Washoe, Nevada. Living Hudgens. She married Living Fawcett. Muriel Erma Hudgens (John Newton Hudgens4, William Harrison Hudgens3, Ambrose Jr. Hudgens2, Ambrose Hudgens1) was born 17 Apr 1904 in Moapa, Lincoln, Nevada, USA, and died 15 Oct 1992 in Tonopah, Nye, Nevada, United States of America. She married George Willard Lund 30 Jun 1921 in Las Vegas, Clark, Nevada, USA. He was born 21 Jun 1899 in Pasadena, Los Angeles, California, USA, and died 01 Jul 1964 in Imlay, Pershing, Nevada. Charles N Lund was born 3 May 1922 in Reno, Washoe, Nevada, USA, and died 24 Nov 1944 in Atlantic Ocean, USNR Pilot. George Willard Jr Lund was born 16 Oct 1923 in Reno, Washoe, Nevada, USA, and died 11 Mar 1981 in Unionville, Pershing, Nevada, USA. Effie Bruton (Margaret Eliza Hudgens4, William Harrison Hudgens3, Ambrose Jr. Hudgens2, Ambrose Hudgens1) was born 14 Jun 1878 in Texas, USA, and died 05 Aug 1952 in Los Angeles, Los Angeles, California. She married William Darough Crabtree. He was born abt 1878 in Nebraska, USA. Effie Bell Crabtree was born Abt 1908 in New Mexico, USA. She married Don E. Wilson. He was born abt 1900 in Ohio. William Francis Crabtree was born 16 Jan 1911 in New Mexico, USA, and died 07 Aug 1984 in Yuba County, California, USA. Doris G. Crabtree was born 12 Jun 1916 in New Mexico, USA, and died 14 Feb 1996 in Tacoma, Pierce, Washington, United States of America. Esmeralda Bruton (Margaret Eliza Hudgens4, William Harrison Hudgens3, Ambrose Jr. Hudgens2, Ambrose Hudgens1) was born 28 Dec 1880 in Del Rio, Val Verde County, Texas, USA, and died 30 Oct 1960 in Mesa, Maricopa, Az. She married George Albert Johnson 10 May 1902 in Benson, Cochise, Arizona, USA. He was born 18 Jan 1878 in Spring Lake, Utah, Utah, USA, and died 23 Mar 1951 in Mesa, Maricopa, Arizona, USA. George Wesley Johnson was born 4 Dec 1905 in Mesa, Maricopa, Arizona, USA, and died 26 Jan 1996 in Mesa, Maricopa, Arizona, USA. He married Matilda Zoe Hansen 16 Aug 1929 in Salt Lake City, Salt Lake, Utah, USA. She was born 7 May 1904 in Park City, Summit, Utah, USA, and died 17 Oct 1991 in Mesa, Maricopa, Arizona, USA. Richard Gordon Johnson was born 22 Oct 1907 in Mesa, Maricopa, Arizona, USA, and died 17 Oct 1991. He married Nadeen Lesueur 30 Dec 1938 in Nogales, Baja California Sur, Mexico, daughter of James Warren Le Sueur and Anna Maria Anderson. She was born 23 Sep 1912 in St Johns, Apache, Arizona, USA, and died 6 Oct 1995 in Mesa, Maricopa, Arizona, USA. Benjamin Bruton Johnson was born 1 Oct 1910 in Mesa, Maricopa, Arizona, USA, and died 25 May 1990 in San Diego, San Diego, California, USA. He married Cleo Melissa Stapley 1946. She was born 15 Aug 1910 in Mesa, Maricopa, Arizona, USA, and died 13 Oct 2001 in Carlsbad, San Diego, California, USA. He married Beth Magnum 1 Jun 1931 in Salt Lake City, Salt Lake, Utah, USA. She was born 19 Aug 1910 in Provo, Utah, Utah, USA, and died 3 Sep 1945 in Los Angeles, Los Angeles, California, USA. Musette “Musie” Bruton (Margaret Eliza Hudgens4, William Harrison Hudgens3, Ambrose Jr. Hudgens2, Ambrose Hudgens1) was born 09 May 1882 in Del Rio, Val Verde County, Texas, USA, and died 19 Nov 1933 in Douglas, Cochise, AZ. She married George M. Sands. He was born abt 1872 in New York. She married George W. Brown. He was born abt 1881 in Oregon. Tracy B Sands was born 07 Dec 1903 in New York, and died Aug 1978 in Santa Monica, Los Angeles, California. Lester Bruton Sands was born 10 Jun 1905 in New York, and died 13 May 1981 in Ventura, Ventura, California, United States of America. He married irene. Margaret Kyle Bruton (Margaret Eliza Hudgens4, William Harrison Hudgens3, Ambrose Jr. Hudgens2, Ambrose Hudgens1) was born 10 Jun 1892 in New Mexico, USA, and died 29 Jul 1968 in Los Angeles, Los Angeles, California. She married Clyde Oscar Hill. He was born 01 Jul 1883 in Michigan. Lucille Pearl Hill was born 29 Jun 1910 in Socorro, Socorro, New Mexico, and died 02 Jun 1966 in San Bernardino County, California, USA. Living Hill. She married Living Corbin. Living Hill. She married Living Broadbent. She married Living Robbins. Pearl Bell (Laurie Loueza Hudgens4, William Harrison Hudgens3, Ambrose Jr. Hudgens2, Ambrose Hudgens1) was born Nov 1882 in White Oaks, Lincoln, New Mexico, USA. She married Chauncey E Butler 14 Jun 1899 in Prescott, Yavapai, Arizona, USA. He was born Aug 1872 in New York, New York. She married Morris. Chauncey Butler was born Abt 1903 in Colorado, USA. Bell (Laurie Loueza Hudgens4, William Harrison Hudgens3, Ambrose Jr. Hudgens2, Ambrose Hudgens1). She married Unknown. Eldridge R. Bell was born 05-12-1904 in Colorado, USA, and died 25 Oct 1966 in Los Angeles, California. Ada Burchem (Elizabeth “Lizzie” Hudgens4, Ambrose Hudgens3, Ambrose Jr. Hudgens2, Ambrose Hudgens1) was born 27 Nov 1875 in , , Texas, USA, and died 6 Jan 1921 in Leroy, McLennan, Texas, USA. She married Robert Lee Merritt 1895. He was born 11 Jun 1869 in Shelbyville, Bedford, Tennessee, USA, and died 1 Nov 1945 in Leroy, McLennan, Texas, USA. Robert Raymond Merritt was born 1 Nov 1896 in Robinsonville, McLennan, Texas, USA, and died 21 Nov 1987 in , McLennan, Texas, USA. Claude Marshall Merritt was born Jan 1899 in , , Texas, USA, and died 3 Jan 1981 in , McLennan, Texas, USA. Ruby Lee Merritt was born 1902 in Texas, and died 29 Sep 1976 in , McLennan, Texas, USA. James Jack Merritt was born 6 Jan 1903 in Texas, and died 31 Dec 1986 in , Hunt, Texas, USA. Alta L Merritt was born 14 Feb 1905 in Waco, McLennan, Texas, USA, and died 19 Aug 1983 in Dallas, Dallas, Texas, United States of America. Pat Cleburn Merritt was born 13 May 1907 in , Jones, Texas, USA, and died 28 Feb 1975 in Amarillo, Potter, Texas, USA. Annie Belle Merritt was born 7 Jul 1909 in Texas, and died 3 Jan 1992 in , McLennan, Texas, USA. She married Floyd Morris Ellison About:1927-00-00. He was born 1908-05-30, and died 1975-09-13 in McLennan Co., TX. Burl Edward Merritt was born 11 Dec 1911 in Temple, Bell, Texas, USA, and died 2 Nov 1967 in , Harris, Texas, USA. He married Christina Roach. He married Ona Elliot. He married Frances Lillian Sloan. She was born 1910 in , , Texas, USA, and died 1979 in Clearwater, Pinellas, California, USA. Vera M Merritt was born 1915 in Texas. James Monroe Burchem (Elizabeth “Lizzie” Hudgens4, Ambrose Hudgens3, Ambrose Jr. Hudgens2, Ambrose Hudgens1) was born 30 Jan 1876 in Texas, USA, and died 04 Nov 1958 in Fort Worth, Tarrant, Texas, USA. He married Nannie Martha Merritt abt 1898 in TX, daughter of Andrew Jackson Merritt and Letitia Elizabeth Dickerson. She was born 16 Aug 1881 in TX, and died 21 Jul 1957 in Fort Worth, Tarrant Co., TX. Edward Lee Burchem was born 19 Jul 1899 in TX, and died 28 May 1938 in Wichita Co., TX. Letitia Viola Burchem was born 15 Jan 1902 in Leroy, McLennan, Texas, USA, and died 16 Aug 1972 in Austin, Travis Co., TX. James Monroe Burchem was born About:1905 in Texas, and died 07 Feb 1932 in Tarrant Co., TX. Eva May Burchem was born 12 Nov 1909 in Texas, and died 19 Feb 1972 in Fort Worth, Tarrant Co., TX. She married James Sanders. Mabel Burchem was born 1913-03-09 in Texas, and died 1974-04-12 in Kaufman, Kaufman Co., TX. Maude Luvenia Hudgens (Tobe Albert Hudgens4, Ambrose Hudgens3, Ambrose Jr. Hudgens2, Ambrose Hudgens1) was born 06 Jun 1884 in Moffatt, Bell, Tx, and died 31 Jan 1978 in Fort Worth, Tarrant, Texas, USA. She married Arthur Lee Crouch 13 Dec 1913 in Tarrant County, Texas, USA. He was born 29 Jan 1888 in Graham, Young, Texas, USA, and died 14 Feb 1931 in Fort Worth, Tarrant, Texas, USA. She married Samuel K. Reynolds Abt 1905 in Texas, USA. He was born Abt 1879 in Texas, USA. Austin Lee Crouch was born 26 Oct 1914 in Fort Worth, Tarrant, Texas, USA. He married Allie Marie Curzadd. She was born 23 Dec 1911. Rose Mabel Crouch was born 27 Apr 1916 in Fort Worth, Tarrant, Texas, USA, and died 11 Jan 1996 in Oklahoma, USA. She married Hugh Marshall Thomas. He was born 30 Dec 1906, and died 06 Mar 1995 in Oklahoma, USA. Tipton Furman Crouch was born 19 Jan 1919 in Fort Worth, Tarrant, Texas, USA, and died 18 Mar 1990 in Tarrant, Texas. He married Jane Osbourne 1942 in , Los Angeles, California, USA. She was born 1919. Thelma M. Reynolds was born Abt 1908 in Texas, USA. Myrtle Sarah Hudgens (James Cornelius Hudgens4, Ambrose Hudgens3, Ambrose Jr. Hudgens2, Ambrose Hudgens1) was born 13 Sep 1899 in McLennan County, Texas, USA, and died 03 May 1957 in Waco, McLennan, Texas, USA. She married John Forrest McAninch. He was born 17 Mar 1899 in McLennan County, Texas, USA, and died 07 Nov 1930 in Wichita County, Texas, USA. John Forrest Jr. McAninch was born 08 Jan 1924 in Texas, USA, and died Jul 1982 in McLennan County, Texas, USA. He married Josephine Hahn. She was born 16 Feb 1927, and died 05 Dec 2003 in Waco, McLennan, Texas, USA. Gene Charles McAninch was born 16 Dec 1929 in McLennan County, Texas, USA, and died 6 May 1999 in Deer Park, Harris, Texas. He married Living Price. Oscar C. Hudgens (James Cornelius Hudgens4, Ambrose Hudgens3, Ambrose Jr. Hudgens2, Ambrose Hudgens1) was born 13 Jan 1902 in Downsville, McLennan, Texas, USA, and died 22 Sep 1964 in Waco, McLennan, Texas, USA. He married Emma Lucille Tanner 1928 in , , Texas, USA. She was born 26 Sep 1910 in , , Texas, USA, and died 26 May 1976 in McLennan County, Texas, USA. Living Hudgens. He married Living Anderson. He married Living Abel. Living Hudgens. She married William Vincent Spring. He was born 28 May 1926, and died 6 Jan 1985 in McLennan County, Texas, USA. Jerould Don Hudgens was born 16 Feb 1940 in , McLennan, Texas, USA, and died 21 Jun 2006 in Waco, McLennan, Texas, USA. Charlie Thomas Hudgens (James Cornelius Hudgens4, Ambrose Hudgens3, Ambrose Jr. Hudgens2, Ambrose Hudgens1) was born 13 Jun 1904 in Texas, USA, and died 10 Jul 1957 in Hamilton County, Texas, USA. He married Willie M.. She was born 16 Apr 1910, and died 13 Jul 1986 in Hamilton County, Texas, USA. Living Hudgens. She married Herman Walter Wenzel. He was born 8 Apr 1919, and died 11 Feb 2002 in Hamilton County, Texas, USA. Ina Mae Hudgens (James Cornelius Hudgens4, Ambrose Hudgens3, Ambrose Jr. Hudgens2, Ambrose Hudgens1) was born 18 Jan 1907 in Texas, USA, and died 22 Aug 1980 in Hamilton County, Texas, USA. She married Lee Roy Magee. He was born 3 Jul 1905, and died 4 Aug 1980 in Hamilton County, Texas, USA. Living Magee. She married Living Wenzel. Eula Ree Hudgens (James Cornelius Hudgens4, Ambrose Hudgens3, Ambrose Jr. Hudgens2, Ambrose Hudgens1) was born 21 Mar 1909 in Texas, USA, and died 30 Nov 1985 in Waco, McLennan, Texas, USA. She married Jess David Moore. Mary Alice Hudgens (John Franklin Hudgens4, Ambrose Hudgens3, Ambrose Jr. Hudgens2, Ambrose Hudgens1) was born 11 Aug 1903 in Texas, USA, and died 27 Apr 1957. She married Robert James Jr. Glenn 23 Nov 1918. He was born 27 Sep 1896, and died 25 Feb 1976 in Waco, McLennan, Texas, USA. Elza Estes Glenn was born 20 Oct 1919, and died May 1987 in Waco, McLennan, Texas, USA. Chester Lee Glenn was born 4 Oct 1921, and died 8 Mar 1923 in , McLennan, Texas, USA. Flora Dathrin Glenn was born 17 Sep 1935, and died 17 Jul 1936. Jesse Wilson Hickman (Medora Hudgens4, Ambrose Hudgens3, Ambrose Jr. Hudgens2, Ambrose Hudgens1) was born 21 Sep 1896 in Erath County, Texas, USA, and died Aug 1984 in Dublin, Erath, Texas, USA. He married Bessie Jane Proffitt, daughter of George W Proffitt and Margaret Elizabeth James. She was born 19 Oct 1902 in , Hamilton, Texas, USA, and died 11 May 1977 in Gustine, Comanche, Texas, USA. Wilford M. Hickman was born 8 Sep 1920 in Coleman County, Texas, USA, and died 21 Feb 2004 in Taft, San Patricio, Texas, United States of America. Ruey Hudgens (John W. Hudgens4, John M. Hudgens3, Ambrose Jr. Hudgens2, Ambrose Hudgens1) was born 15 Sep 1884 in Claiborne Parish, La, and died 25 Oct 1974 in Homer, Claiborne, Louisiana, United States of America. She married George Washington Deloach 10 Feb 1910 in Claiborne Parish, La. He was born 12 Nov 1884 in Claiborne Parish, , Louisiana, USA, and died 25 Oct 1958 in Claiborne Parish, , Louisiana, USA. Infant DeLoach was born 19 Jan 1911, and died 24 Jan 1911. Theron Jessie Deloach was born 15 Sep 1912 in Claiborne , Louisiana, USA, and died Nov 1987 in Homer, Claiborne, Louisiana. Floy Elon DeLoach was born 28 Sep 1914 in , , Louisiana, USA, and died 19 Apr 2002 in Springhill, Webster, Louisiana, USA. Ruby E. DeLoach was born Mar 1917 in , , Louisiana, USA. Guy Elon Hudgens (John W. Hudgens4, John M. Hudgens3, Ambrose Jr. Hudgens2, Ambrose Hudgens1) was born 21 Dec 1888 in Claiborne Parish, Louisiana, and died Feb 1969 in Little Rock, Pulaski, Arkansas. He married Estell Randell. She was born 7 Dec 1894 in Louisiana, and died Jan 1984 in Cabot, Lonoke, Arkansas. J W Hudgens was born abt 1910 in Louisiana. He married Living Dodson. He married Gene. She was born Abt 1912 in Arkansas. Euna Mae Hudgens was born abt 1913 in Louisiana. William Randle Hudgens was born 16 Jan 1915 in Arkansas, and died 21 Sep 2005 in Lonoke, Arkansas. Elon C. Hudgens was born abt 1918 in Arkansas. She married Otis W. Jackson 23 Aug 1941 in Lonoke, Lonoke, Arkansas, USA. He was born Abt 1915. Paul Hugh Hudgens was born 2 Jan 1924 in England, Arkansas, USA, and died 2 Apr 2004 in Norfork, Baxter, Arkansas, USA. Living Hudgens. She married Living Garrett. Doye Valpin Hudgens (Henry Walter Hudgens4, John M. Hudgens3, Ambrose Jr. Hudgens2, Ambrose Hudgens1) was born 4 Nov 1901 in Claiborne Parish, , Louisiana, USA, and died Apr 1979 in Homer, Claiborne, Louisiana, USA. He married Odell Ware 13 May 1920. She was born 22 Oct 1902 in , , Arkansas, USA, and died 22 Feb 1994 in Homer, Claiborne, Louisiana, United States of America. Murphy Randall Hudgens was born 10 Mar 1921, and died 28 Oct 1998 in Homer, Claiborne, Louisiana, United States of America. He married Nevis Ester Kilpatrick 12 Jan 1941 in Claiborne Parish, Louisiana, USA. She was born 19 Jan 1922, and died 29 Mar 1997 in Homer, Claiborne, Louisiana, USA. Cedric Elston Hudgens (Henry Walter Hudgens4, John M. Hudgens3, Ambrose Jr. Hudgens2, Ambrose Hudgens1) was born 3 Mar 1912 in Louisiana, and died 12 Jun 1944. He married Mary Ruth Belcher 6 Aug 1936. She was born 26 Sep 1918. Living Hudgens. She married Living Hoffpauier. Herman Edward Hudgens (Thomas Edgar “Ed” Hudgens4, John M. Hudgens3, Ambrose Jr. Hudgens2, Ambrose Hudgens1) was born 28 Jun 1914 in , , Texas, USA, and died 30 Dec 1966 in Welcome Home Cemetery, Grayson, Caldwell, Louisiana. He married Lettie Dottie Westbrooks. She was born 1904 in Louisiana. He married Elizabeth Lindsey 27 NOV 1952 in LaSalle Parish, Louisiana, USA. She was born 7 Oct 1916 in Grayson, Caldwell, Louisiana, USA, and died 9 Aug 1994 in Columbia, Caldwell, Louisiana, USA. Maggie Bell Hudgens (William Wallace Hudgens4, Bazzel M Hudgens3, Ambrose Jr. Hudgens2, Ambrose Hudgens1) was born 25 Jun 1878 in Texas, USA, and died 9 Apr 1919 in Near Connelly School, , Oklahoma, USA. She married Walter Addie Vinson 8 May 1902 in Clairette, Erath, Texas, USA. He was born 3 Sep 1868 in Calhoun County, Alabama, USA, and died 8 Mar 1942 in Wade, Oklahoma. Mattie Mae Vinson was born 11 Mar 1903 in , Erath, Texas, USA, and died 1921 in Yarnaby, , Oklahoma, USA. Walter Estes Vinson was born 18 Oct 1904 in , Erath, Texas, USA, and died 8 Jun 1970 in Longview, Cowlitz, Washington, USA. James Oscar Dock Vinson was born 3 Mar 1906 in Erath, Texas, United States, and died 21 Dec 1974 in Duncan, Stephens, Oklahoma, United States. He married Catherine Mary Lesh. She was born 24 Mar 1905 in Kettle Falls, Stevens, Washington, United States, and died 21 Feb 1999 in Gulf Hammock, Levy, Florida, United States of America. Louis Carl Vinson was born 4 Sep 1908 in , Erath, Texas, USA, and died 16 Oct 1973 in Kalama, Cowlitz, Washington, USA. He married Josephine. She was born 11 Jul 1909, and died 3 Aug 1994 in Worland, Washakie, Wyoming, United States of America. William Arthur Vinson was born 15 Aug 1911 in , , Texas, USA, and died 21 Nov 1977 in Lubbock, Lubbock, Texas, United States. Lela Maude Tooda Vinson was born 2 Nov 1913 in , Erath, Texas, USA, and died 5 Jan 2000 in Borger, Hutchinson, Texas, USA. Edna Emma Vinson was born 11 Jun 1916 in Oklahoma, USA, and died 25 Mar 2005 in Lubbock, Lubbock, Texas, USA. She married Lloyd Archie Kight. He was born 14 May 1910, and died 30 Oct 1988 in Lubbock, Lubbock, Texas, United States. Ruth Norene Vinson was born 24 Mar 1919, and died 9 Apr 1919 in Connelly, , Oklahoma, USA. Minnie Hudgens (William Wallace Hudgens4, Bazzel M Hudgens3, Ambrose Jr. Hudgens2, Ambrose Hudgens1) was born 23 Jan 1881 in Texas, and died 15 Jun 1974 in Cleburne, Johnson, Texas, USA. She married Henry Ellis Dec 15, 1898. He was born 19 Dec 1875 in Texas, USA, and died 1930 in Erath County, Texas, USA. Oren Henry Ellis was born 22 Nov 1899 in Erath County, Texas, USA, and died 23 Aug 1984 in El Paso, El Paso, Texas, United States of America. Minnie Irene Ellis was born 3 Sep 1903 in Erath County, Texas, USA, and died 1989 in Fort Worth, Tarrant, TX, USA. She married George Bryan McGlasson. He was born 10 Oct 1896 in Newton County, Arkansas, USA, and died Jun 1968 in Cleburne, Johnson, TX, USA. Annie Allene Ellis was born 19 Aug 1906 in Erath County, Texas, USA. Thomas Myrt Hudgens (William Wallace Hudgens4, Bazzel M Hudgens3, Ambrose Jr. Hudgens2, Ambrose Hudgens1) was born 20 Jul 1883 in Texas, and died 4 Sep 1944 in Cottle County, Tx, USA. He married Dora Ines Coldiron 18 Jul 1908, daughter of George Gibson Coldiron and Martha Jane Culp. She was born 30 Nov 1885 in Texas, USA, and died 21 Nov 1973 in Slaton, Lubbock, Texas, United States of America. Glynn Thomas Hudgens was born 23 Jun 1909 in Erath County, Texas, USA, and died 20 Mar 1970 in Lubbock, Lubbock, Texas, USA. Mattie Inez Hudgens was born 13 Oct 1910 in Erath County, Texas, USA, and died 1 Feb 1912 in Erath County, Texas, USA. Verna Mae Hudgens was born 23 Nov 1912 in Erath County, Texas, USA, and died 18 Apr 2001 in Huntington Beach, Orange, California, United States. Vineta Ethelene Hudgens was born 25 Jul 1916 in Texas, USA, and died 18 Apr 1973 in Bellflower, Los Angeles, California, United States. Will Hudgens was born 21May 1920 in Erath, Texas, United States, and died Dec 1983 in Olton, Lamb, Texas, United States. William Hilman Hudgens (William Wallace Hudgens4, Bazzel M Hudgens3, Ambrose Jr. Hudgens2, Ambrose Hudgens1) was born 12 Jan 1890 in Texas, and died 24 Apr 1974 in , Erath, Texas, USA. He married Virgie D.. She was born 21 Aug 1897 in Texas, USA, and died 4 Nov 1980 in Stephenville, Erath Co., TX. Luther C. Hudgens was born 27 Apr 1919 in Texas, USA, and died 31 Dec 1944 in Missing In Action, Bandundu, Congo. Myrle F Hudgens was born abt 1919 in Texas, USA. Lela E Hudgens (Franklin M Hudgens4, Bazzel M Hudgens3, Ambrose Jr. Hudgens2, Ambrose Hudgens1) was born 23 Jan 1892 in Texas, USA, and died 7 May 1977 in Long Beach, Los Angeles, California, United States. She married William Conway Tucker, son of Robert Augustus Gus Tucker and Susan Adeline Addie Baker. He was born 20 Aug 1886 in Magnolia, Columbia, Arkansas, and died 28 Jan 1945 in Paducah, Cottle, Tx. Edwin Augustus Tucker was born 10 Nov 1912 in Texas, USA, and died 26 Aug 1975 in Los Angeles, California. Claude Lee Hudgens (LaFayett F. Hudgens4, Bazzel M Hudgens3, Ambrose Jr. Hudgens2, Ambrose Hudgens1) was born 4 Oct 1893 in Texas, USA, and died 3 Jan 1972 in Fort Worth, Tarrant Co., TX. He married Elizabeth Stewart. She was born 27 Jul 1887, and died 4 Jan 1976 in Tarrant, Texas. Claude Lee Jr. Hudgens was born 1920 in Texas, USA, and died 1936 in Texas, USA. William Carroll Hudgens was born 10 Jun 1923 in Texas, USA, and died 1 May 1994 in Fort Worth, Tarrant, Texas, United States of America. James Clarence Hudgens (LaFayett F. Hudgens4, Bazzel M Hudgens3, Ambrose Jr. Hudgens2, Ambrose Hudgens1) was born 4 Apr 1895 in Texas, USA, and died 30 Sep 1976. He married Jessie Cleveland. She was born 12 Dec 1900 in Texas, and died 18 Sep 1995 in San Angelo, Tom Green, Tx. James Wade Hudgens was born 1918 in Texas, USA, and died 9 Feb 1993 in St Louis, St Louis, Missouri, United States. Don Cleveland Hudgens was born 3 Jul 1921 in Texas, USA, and died 15 Aug 1988 in Granada Hills, Los Angeles, California, United States of America. Iva D. Hudgens (LaFayett F. Hudgens4, Bazzel M Hudgens3, Ambrose Jr. Hudgens2, Ambrose Hudgens1) was born Mar 1896 in Texas, USA. She married John Kyle Graves, son of William Thomas Graves and Mary Beatrice Roberts. He was born 12 Oct 1893 in Stephenville, Erath, Texas, USA, and died 14 Jun 1962 in Brownfield, Terry, Texas. Sharlene Graves was born abt 1919 in Texas. Mildred O. Hudgens (LaFayett F. Hudgens4, Bazzel M Hudgens3, Ambrose Jr. Hudgens2, Ambrose Hudgens1) was born 27 Aug 1909 in Erath County, Texas, USA, and died 13 Sep 1994 in Channing, Hartley, Texas, United States of America. She married Vermal Ross Rentfro. He was born abt 1906 in Texas, and died 14 May 1970 in Potter, Texas. Vermal Ross Jr. Rentfro was born 21 Feb 1928 in Terry County, Texas, USA, and died 20 Dec 1996 in Dalhart, Dallam, Texas, United States of America. He married Living Jeter. Dennis Lafayette Walton (Louise Hudgens4, Bazzel M Hudgens3, Ambrose Jr. Hudgens2, Ambrose Hudgens1) was born 01 Apr 1890 in Stephenville, Erath Co., TX, and died 30 Dec 1966 in Fort Worth, Tarrant Co., TX. He married Lela Mae Lockhart. She was born 18 Jul 1891 in Stephenville, Erath Co., TX, and died 29 Dec 1966 in Fort Worth, Tarrant, Texas. Hazel Ruth Walton was born 29 May 1917 in Texas, USA. Dennis Edward Walton was born 1 January 1921 in Fort Worth, Texas, and died 30 Apr 1991 in Plano, Collin, Texas, USA. He married Mary Ella Fuess 30 Sep 1960 in Dallas, Dallas, Texas, USA. She was born 26 Dec 1925 in Dallas, Dallas, Texas, USA, and died 24 Sep 1993 in Plano, Collin, Texas, USA. William Ralph Walton was born April 11, 1923 in Fort Worth, Tarrant, Texas, United States, and died April 23, 2001 in Valparaiso, Porter, Indiana, United States. He married Velma McKee. She was born 28 Feb 1917, and died 21 Sep 1973. Roy Everett Langford (Willie D Hudgens4, Bazzel M Hudgens3, Ambrose Jr. Hudgens2, Ambrose Hudgens1) was born 9 Aug 1891 in Rosebud, King, Tx, and died 22 Sep 1936 in Haskell County, Texas, USA. He was buried 23 Sep 1936 in Abilene, Taylor, Texas, USA. He married Nellie M. She was born Abt 1900 in Texas, USA. Rosie M Langford was born abt 1915 in Texas, USA. Ruby Jewell Langford was born Abt 1916 in Texas, USA. Jessie Ruth Langford was born abt 1918 in Erath County, Texas, USA. Ethel Dean Langford (Willie D Hudgens4, Bazzel M Hudgens3, Ambrose Jr. Hudgens2, Ambrose Hudgens1) was born 6 Mar 1899 in Texas, USA, and died Jun 1972 in Haskell County, Texas, USA. She married Albert Lee Holley. He was born 15 Mar 1903 in Texas, and died 1 Dec 1986 in Haskell County, Texas, USA. Living Holley. She married Thurman Ray Odle. He was born 22 Sep 1915 in Arkansas, USA, and died 13 May 1969 in California. Gladys E Langford (Willie D Hudgens4, Bazzel M Hudgens3, Ambrose Jr. Hudgens2, Ambrose Hudgens1) was born 21 Jul 1901 in Texas, USA, and died Apr 1981 in Hico, Hamilton, Texas, United States of America. She married John Calhoun Jr. Kilcrease. He was born 7 Dec 1895 in Texas, and died 15 Apr 1973 in Hico, Hamilton, Texas, USA. John Thomas Kilcrease was born 29 Oct 1923 in Texas, USA, and died 21 Nov 1983 in Hamilton, Texas. Otis Adolphus Orman (Eula Hudgens4, Bazzel M Hudgens3, Ambrose Jr. Hudgens2, Ambrose Hudgens1) was born 16 Feb1896 in Hamilton County, Texas, USA, and died 30 Apr 1935 in Levelland, Hockley, Tx. He married Myrtie Mae Hudgens 22 Feb 1916 in Santon, Oklahoma, United States, daughter of Napoleon Pony Hudgens and Mary Lee Tucker. She was born 6 Mar 1902 in Stephenville, Erath, Texas, USA, and died 14 Jan 1989 in Sundown, Hockley, Texas, United States of America. Leota Gertrude Orman was born 29 Nov 1916 in Paducah, Cottle, Texas, USA, and died 25 Jan 2007 in Longview, Gregg, Texas, USA. Murl Marvin Orman was born 5 Jun 1921 in Chattanooga, Tillman, Oklahoma, USA, and died 21 Jun 1999 in Lubbock County, Texas, USA. Inez Uden Orman was born 19 Jul 1924 in Texas, USA, and died 30 Nov 1932 in Levelland, Hockley, Tx. Weldon Adolphus Orman was born 1932, and died 7 Sep 1989 in Hockley County, Texas, USA. Robert Wilburn Hudgens (Napoleon Pony Hudgens4, Bazzel M Hudgens3, Ambrose Jr. Hudgens2, Ambrose Hudgens1) was born 15 Sep 1899 in Erath County, Texas, USA, and died 31 Oct 1982 in Sundown, Hockley, Texas, United States of America. He married Living Jacobs. He married Carrie Gertrude Martin 24 Aug 1966 in Dawson County, Texas, USA. She was born Abt 1904. He married Vonnie Ardell Richards 14 Nov 1969 in Sundown, Hockley, Texas, United States of America, daughter of Nedham Eugene Richards and Drucilla Ardel Carnes. She was born 4 Jan 1901 in Perryville, Wood, Texas, USA, and died 21 May 1998 in Sundown, Hockley, Texas, United States of America. He married Odessa Littlian Hudgens, daughter of George Hancock and Lilltian Payne. She was born 9 Nov 1902 in Thackersville, Ok, and died 12 Jun 1962 in Andrews County, Texas, USA. Hubert Argustus Hudgens was born 16 Jan 1921 in Paducah, Cottle, Texas, USA, and died 02 Oct 1954 in Runnels County, Texas, USA. He married Living Stevens. Hazel Mozelle Hudgens was born 18 Oct 1922 in Texas, USA, and died 25 Nov 2004 in Bixby, Tulsa, Oklahoma, USA. Carmen Ercelle Hudgens was born 22 Sep 1924 in Brownfield, Terry, Texas, and died 16 Jul 1959 in Haskell County, Texas, USA. Wilma Hudgens was born 7 Feb 1928 in Texas, USA, and died 21 Sep 1938 in Stamford, Jones, Texas, USA. Henderson Richard Hudgens was born 1 Aug 1932 in Cottle County, Texas, USA, and died 15 Oct 1990. Doris Rachel Hudgens was born 1 Sep 1939 in Haskell County, Texas, USA, and died 10 Jun 2003 in Odessa, Ector, Texas, USA. Myrtie Mae Hudgens (Napoleon Pony Hudgens4, Bazzel M Hudgens3, Ambrose Jr. Hudgens2, Ambrose Hudgens1) was born 6 Mar 1902 in Stephenville, Erath, Texas, USA, and died 14 Jan 1989 in Sundown, Hockley, Texas, United States of America. She married Otis Adolphus Orman 22 Feb 1916 in Santon, Oklahoma, United States, son of John B. Orman and Eula Hudgens. He was born 16 Feb1896 in Hamilton County, Texas, USA, and died 30 Apr 1935 in Levelland, Hockley, Tx. She married George Milton Crawford 23 Jan 1969 in Lubbock, Lubbock, Texas, USA. He was born 1907, and died 4 Oct 1980 in Hockley County, Texas, USA. Bertie Adeline Hudgens (Napoleon Pony Hudgens4, Bazzel M Hudgens3, Ambrose Jr. Hudgens2, Ambrose Hudgens1) was born 14 Apr 1905 in Stephenville, Erath, Texas, United States, and died 26 Nov 1982 in Andrews, Andrews, Texas, United States. She married Arthur James Reid. He was born 13 Nov 1901 in Oklahoma, USA, and died 19 Mar 1977 in Andrews, Andrews, Texas, United States. Lavada Ruth Reid was born 26 Apr 1923 in Texas, USA, and died Feb 1996 in Odessa, Ector, Texas, USA. Arthur James Reid was born 11 Aug 1928 in Hockley County, Texas, USA, and died 17 Jan 1940 in Lubbock County, Texas, USA. Edward Louis Reid was born 13 Aug 1930 in Hockley County, Texas, USA, and died 22 Aug 1998 in Fort Worth, Tarrant Co., TX. Stanley Burl Reid was born 3 Nov 1934 in Sundown, Hockley, Texas, United States of America, and died 13 Aug 2006 in Abilene, Taylor, Texas, USA. Minnie Velma Hudgens (Napoleon Pony Hudgens4, Bazzel M Hudgens3, Ambrose Jr. Hudgens2, Ambrose Hudgens1) was born 1 Dec 1910 in Paducah, Cottle, Texas, USA, and died 28 Aug 1982 in Pittsburg, Contra Costa, Ca. She married Winfred Allen Blevins. He was born 27 Jan 1909 in Oklahoma, USA, and died 28 Oct 1963 in Kern County, California, USA. She married sayne. Mary Louise Blevins was born 11 Dec 1928 in Hockley County, Texas, USA, and died 22 May 1931 in Tarrant County, Texas, USA. Living Blevins. She married Living Kepley. Living Blevins. She married Living Harrison. Living Blevins. She married Living Robinson. Ira Winfred Hudgens (Napoleon Pony Hudgens4, Bazzel M Hudgens3, Ambrose Jr. Hudgens2, Ambrose Hudgens1) was born 11 Nov 1912 in Cottle County, Texas, USA, and died 26 Nov 1981 in Andrews County, Texas, USA. He married Ida Lucille Howard. She was born 1912 in , , Texas, USA, and died 1992 in Tyler, Smith, Texas, USA. Bobby Joe Hudgens was born 22 Sep 1945 in Stamford, Jones, Texas, USA, and died 15 Nov 2002 in Andrews County, Texas, USA. He married Living Williams. Truman Napoleon Hudgens (Napoleon Pony Hudgens4, Bazzel M Hudgens3, Ambrose Jr. Hudgens2, Ambrose Hudgens1) was born 18 Mar 1916 in King County, Texas, USA, and died 15 Jan 1973 in Andrews County, Texas, USA. He married Lizzie Veldon Hodges 1934 in Dekalb. Tx, daughter of E C Hodges and Mattie. She was born 23 Feb 1919 in New Boston, Texas, USA, and died 30 Jun 2006 in Andrews County, Texas, USA. Eddie Wayne Hudgens was born 9 Apr 1935 in Lamar Co, TX, and died 23 Aug 2007 in Booneville, Arkansas, USA. Thresa Virginia Hudgens was born 18 Dec 1936 in Hockley County, Texas, USA, and died 1 Feb 2004 in Tucson, Pima, Arizona, United States of America. Ira Truman “Butch” Hudgens was born 2 Dec 1938 in Haskell County, Texas, USA, and died 30 Nov 2008 in Las Vegas, Clark, Nevada. C W Hudgens (Napoleon Pony Hudgens4, Bazzel M Hudgens3, Ambrose Jr. Hudgens2, Ambrose Hudgens1) was born 22 Aug 1919 in Milo, Carter , Ok, USA, and died 21 Nov 2007 in Lubbock, Lubbock, Texas, USA. He married Ona Delores Keith 9 Mar 1940 in Lubbock, Lubbock, Texas, USA, daughter of Henry Davis Keith and Mary Josephine “Molly” Robinson. She was born 7 Dec 1922 in Crosbyton, Crosby, Tx, and died 24 Feb 1988 in Lubbock, Lubbock, Texas, USA. Carroll Winston “Billy” Hudgens was born 5 Jan 1941 in Lubbock, Lubbock, Texas, USA, and died 19 Mar 2002 in Lubbock, Lubbock, Texas, USA. Living Hudgens. He married Living Boyd. Living Hudgens. He married Living Bradford. Randy Lane Hudgens was born 19 Apr 1961 in Lubbock, Lubbock, Texas, USA, and died 19 Apr 1974 in Lubbock, Lubbock, Texas, USA. Presley Lee Hudgens (Napoleon Pony Hudgens4, Bazzel M Hudgens3, Ambrose Jr. Hudgens2, Ambrose Hudgens1) was born 25 Dec 1925 in Brownfield, Terry, Texas, and died 26 Dec 2004 in Andrews, Andrews, Texas, United States. He married Lucille Huggins. She was born abt 1913. He married Nora Mae Aubrey 7 Aug 1942 in Hollis, Oklahoma, USA. She was born Abt 1926, and died 30 Mar 2005 in Andrews County, Texas, USA. Presley Eugene Hudgens was born 22 May 1946 in Lubbock, Lubbock, Texas, USA, and died 22 May 1946 in Lubbock, Lubbock, Texas, USA. Living Hudgens. She married Living Warnick. Living Hudgens. She married Living Helms. Archie Clarence Evans (Emma Hudgens4, Bazzel M Hudgens3, Ambrose Jr. Hudgens2, Ambrose Hudgens1) was born 21 Sep 1900 in Texas, USA, and died 13 Jun 1971 in Texas, USA. He married Thelma Gladys “Pat” Welch 30 Jun 1918 in Paducah, Cottle Co., TX. She was born 3 Feb 1900 in Brookhaven, Mississippi, and died 24 Sep 2002 in Erath County, Tx. Archie Clarence Jr Evans was born 18 May 1919 in Erath County, Tx, and died 19 Jun 2006 in Jackson, Hinds, Mississippi, United States of America. Van Austin “Barney” Evans was born 17 Jul 1923 in Erath County, Texas, USA, and died 14 Nov 2000 in Erath County, Texas, USA. Enid William Evans (Emma Hudgens4, Bazzel M Hudgens3, Ambrose Jr. Hudgens2, Ambrose Hudgens1) was born 22 May 1919 in Texas, and died 13 Nov 1985 in Van Horn, Culberson, Texas, United States of America. He married Living Smith. Living Evans. She married Living Neal. Ona B Beaty (Ida Dean Hudgens4, Bazzel M Hudgens3, Ambrose Jr. Hudgens2, Ambrose Hudgens1) was born 15 Mar 1903 in Stephenville, Erath, Texas, United States of America, and died 30 Sep 1969 in Wharton County, Texas, USA. She was buried 2 Oct 1969 in Resthaven Cemetery, Kingsville, Kleberg, Texas. She married Living Morris. Living Morris. She married Living Boswell. Betty Jo Beaty (Ida Dean Hudgens4, Bazzel M Hudgens3, Ambrose Jr. Hudgens2, Ambrose Hudgens1) was born 15 Aug 1924 in Milo, Carter, Oklahoma, USA, and died 19 Oct 1992 in Burleson, Johnson, Texas, United States of America. She married Living Bleeker.